Why is Florida the worst state to get in a car crash? Car crashes are something to avoid in any state of the US. But according to a Wallethub study, Florida is the worst state to get in a car accident—at least for your wallet. What makes Florida such a risky state for drivers? According to the study, the Sunshine State has a high number of uninsured drivers and low requirements for auto insurance. Wallethub revealed that nearly 24% of Florida drivers are uninsured—the second highest percentage of any state in the country. That means roughly 1 in 4 cars you see on the road is being driven by someone without auto insurance. In contrast, in Maine—the “best” state for a car crash —only about 5% of drivers were uninsured. No matter how cautious you are behind the wheel, an accident with an uninsured driver could leave you will hefty medical and car repair bills. Many Floridian drivers end up paying for the negligence of another driver. With tens of thousands of accidents resulting in injuries and or property damage on Florida roads each year, it’s frightening to think you could be left will the bill for someone else’s irresponsibility. The study also noted the lenient nature of Florida’s insurance laws. Compared to other states, Florida’s minimum liability coverage is very low. Legally, Florida drivers need only $10,000 dollars of for PIP (personal injury protection) and $10,000 of coverage for property damage. PIP covers injuries to drivers or their passengers. Florida’s minimum liability coverage is lower than most states. If both drivers have minimal insurance coverage, $10,000 is the amount insurance companies will cover for each person involved in the accident. $20,000 is the amount of coverage per accident for all injured parties, and $10,000 is the amount of total property damage the insurance company will pay for. Compare that to Maine or Alaska’s insurance liability laws. Both states require $50,000 of coverage for each driver involved, meaning that there is $100,000 of coverage per accident. The minimum property damage coverage in both states is $25,000. Florida’s minimum liability coverage seems tiny compared to these states. Furthermore, though the law requires bodily injury coverage, often Florida drivers neglect to carry this. They will be held accountable if they get in a car crash without bodily injury coverage, but for the victim, this coverage often goes unpaid. What Does This Mean for Florida Drivers? Unfortunately, for drivers on Florida roads, there’s a good chance of getting in a car crash with someone with inadequate insurance—or no insurance at all. Even responsible drivers with adequate coverage can be left holding the bill when the at-fault driver is underinsured or uninsured. It also means higher prices for people who do pay their insurance, since prices reflect the number of claims that are being paid in the insurance industry. Even if the accident was not your fault, you can see you own rate rise after an accident. That’s because Florida is a no-fault state. After enough no-fault claims to your insurance company, they will rate the cost of your own coverage. Most importantly, negligent drivers with insufficient insurance will leave their victims holding the bill, which can easily climb past the limits of your own coverage. Car repair bills and medical costs are just some of the expenses of an accident resulting in injury. Insurance won’t cover the cost of lost wages, or any other non-medical damages incurred during your recovery. Minimal or absent coverage isn’t just a liability for other, more responsible drivers on the road. These lax insurance laws are also a risk to pedestrians and bicyclists when they are involved in an accident with an uninsured or underinsured drivers. This is bad news for those who get around on two wheels or by foot, since Florida has one of the highest rates of pedestrian and bicycle accidents in the nation. To avoid getting stuck will the exceedingly expensive bill from an accident with an uninsured driver, there are a few ways that responsible drivers can protect themselves. One option is to purchase uninsured driver coverage from your insurance provider. For a few hundred dollars a year, you can be covered in the event that you are involved in a crash with an uninsured driver. Another option is to hold negligent drivers responsible with a personal injury suit. An experienced personal injury attorney may be able to help you win back some of the compensation you deserve from reckless and irresponsible drivers. 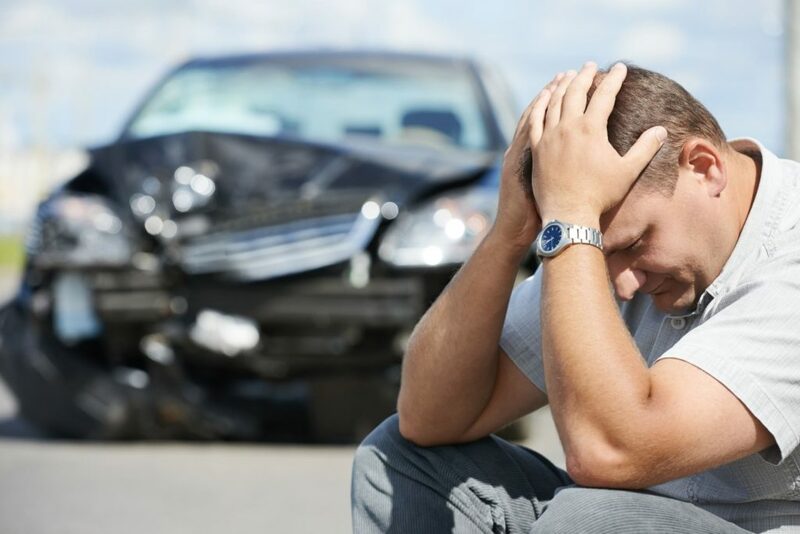 Get in touch with us today for expert auto accident representation.